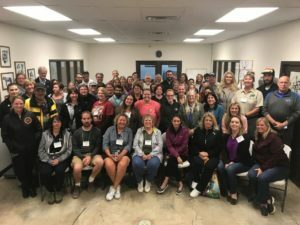 This September, GFAS attended the annual Big Cat Sanctuary Alliance conference, hosted by Turpentine Creek Wildlife Refuge, in beautiful Eureka Springs, Arkansas. The conference was a huge success with over 60 representatives attending from sanctuaries all over the United States as well as supporting organizations including GFAS, Tigers in America, IFAW, Outreach for Animals and many more. These groups came together to share ideas, common goals and discuss the growing need for true sanctuaries. 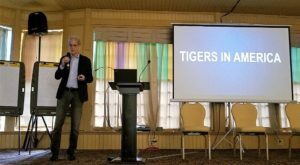 Shawn Kay, GFAS Wildlife accreditor for North America, worked with the BCSA steering committee and GFAS’ Board Member and Treasurer, Bill Nimmo, founder of Tigers in America and guest speaker, presented a compelling talk on international tiger rescues. At the end of the two-day conference, Turpentine Wildlife Refuge, arranged for the attendees, to tour the sanctuary. 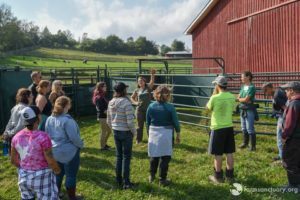 They got the chance to observe the animals, meet the staff and learn about the group’s excellent animal care programs including enrichment, behavioral training, habitat design and more. The Big Cat Sanctuary Alliance allows true sanctuaries like Turpentine Creek to work together, discuss new methods of animal care, coordinate on potential rescues and advocate with one voice on behalf of captive animals. GFAS is honored to be a part of the Alliance and congratulates it on organizing a truly inspiring and successful conference. 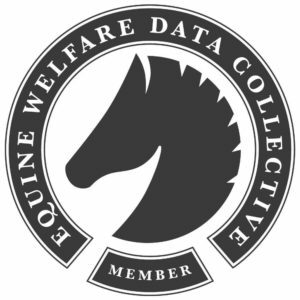 GFAS is very proud of our Accredited and Verified organizations as they are so dedicated to the animals have worked very hard to meet the GFAS standards. This year, Animals Asia is celebrating its 20th anniversary! Since its founding in 1998, the organization has rescued more than 600 bears in Vietnam and China, the majority of whom came from bear bile farms. Today, its GFAS Accredited bear centers in Chengdu, China and Tam Dao, Vietnam care for predominantly moon bears but also brown bears and sun bears, and employ over 250 Chinese and Vietnamese staff in bear care and other areas. 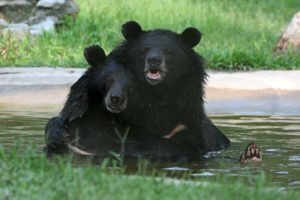 Animals Asia’s work extends beyond the sanctuaries as well, as it advocates not only for bears but for the welfare of dogs, cats, and captive wildlife, including a call to end the use of wild animals for entertainment. Among its many significant accomplishments, the Foundation signed an agreement with the Vietnamese government in 2017 to phase out all bear bile farms in the country over a five year period, which will rescue up to 800 bears to sanctuary. Just last month, Animals Asia celebrated another milestone as it rescued its 200th bear in Vietnam, a female moon bear who was given the name “Precious.” We know that the next 20 years will bring even more milestones. Learn more about Animals Asia and all of its programs at its website. GFAS is always working to make the application process for new groups and renewals easier and more efficient. To that end, we have been working on automating our application process. We are currently working with Survey Monkey Apply to set up the system. We are hoping to have the system up and running the first quarter of 2019. On-line applications will allow organizations to save and track their progress through the application. It will also allow us to store that information so that you will only need to update that information when it is time for the renewal process. Nonprofits that are holding an all-vegan event for the first time can get up to $1000 of their food costs reimbursed. And for catered galas, Food for Thought is encouraging organizations to add a vegan option that can be selected in advance at half price. Animal Place will pay the other half, up to $1000.